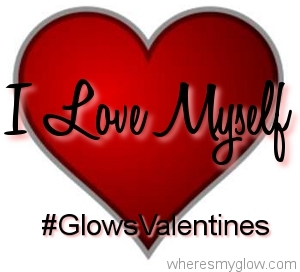 I love you Glowless!!! This is such a brilliant idea! I get to massage your ego and spread love around the blogosphere. I love my legs. What do you love? I love that I do things, even if I don't feel up for it or even if I don't like it. Be it as a way to challenge myself, or for the best of my family... I love hat I can think not just of my own feelingings and thoughts, but for others too. Great idea! I've linked up, but am a newbie at all this stuff, so I don't know how to 'grab your button'... have, however linked to you from my page... hope that is good enough! I kind of got side tracked sorry! And such fabo legs they are, Emma! I didn't write it in my post, but I love how I am good in a crisis - if ever there is an emergency you want me around because my brain seems to go in to work mode and just get things done :) At normal times though, I freak out about mess in my house!!!!! !